Every morning as my feet hit the floor, I find myself whispering, "be brave today." Bravery. Something about it scares me to no end, yet gives me so much freedom at the same time. I spent most of my childhood as a wallflower, observing, studying, and just taking everything in. People laugh when I tell them I used to be very introverted and shy because that girl is long gone. Somewhere along the way the wallflower bloomed and became a wildflower. As a wildflower, I wear my heart on my sleeve. And more often than not, I share little bits of my heart with many. I have found so much comfort in sharing a story with someone when I hear them utter a sigh of relief at the end as they say, "really? you too? I thought it was just me." Then all of a sudden; the tears, the aching of my heart, the bravery in sharing my words....they are all worth it. The alone we both felt sudden melts away. And no matter how hard the circumstance is, someone else can relate, and it makes it that much easier to take another step forward. Bravery. 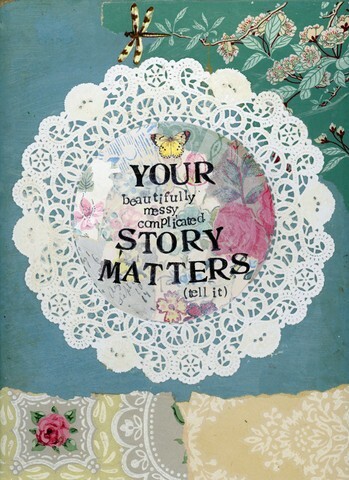 Often that means I share my story first even if I feel like a fool at the end. I share pieces of my heart in hopes of giving comfort to another. When our hearts are on the line, there are so many reasons to build up walls of protection. As I whisper, "be brave today" there is a tug on my heart to share words, stories, pain, and experiences. In fact, sometimes I literally have to say the quote aloud and remind myself that my words are a gift to another. I had a certain experience on purpose, and perhaps just one person can relate. But uttering those words + stories aloud means clothing myself in bravery. So I step out in faith. Sometimes my toes are stepped on and my feelings are hurt. But bravery meets me there. And I remind myself that I'm only writing and sharing for the one. The one person who can relate, who needs the encouragement, who needs the strength to move forward, the one who needs to know they are not alone. 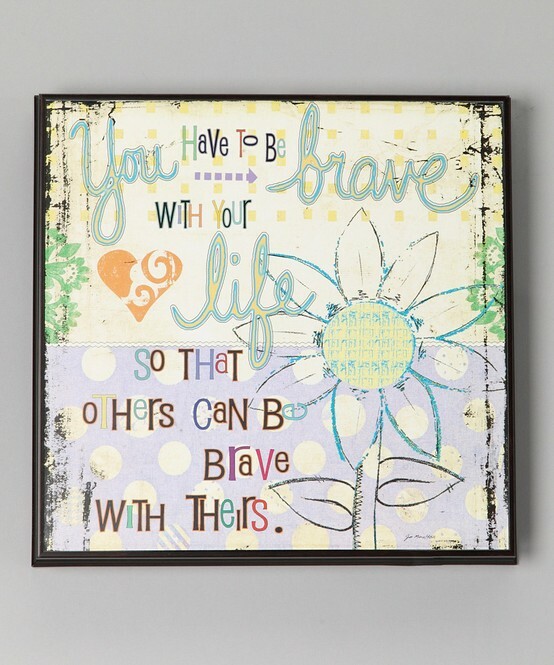 Bravery means I start taking down my walls and letting you in. thank you for this inspiring post! this past sunday i was talking with a lady that is good friends with my good friends, but we have never had the chance to talk and relate on a level that gives us a connection. in a passing conversation we both spoke of a recent struggle that we had in common. next thing i knew, i was in tears and hugging her for her bravery of keeping herself together. we shared something so deep and have scheduled a coffee date for this friday to hang out and be in fellowship. its amazing what God can do when we are willing to share ourselves with others. bless you for sharing this post and reminding us what it looks like to be brave.